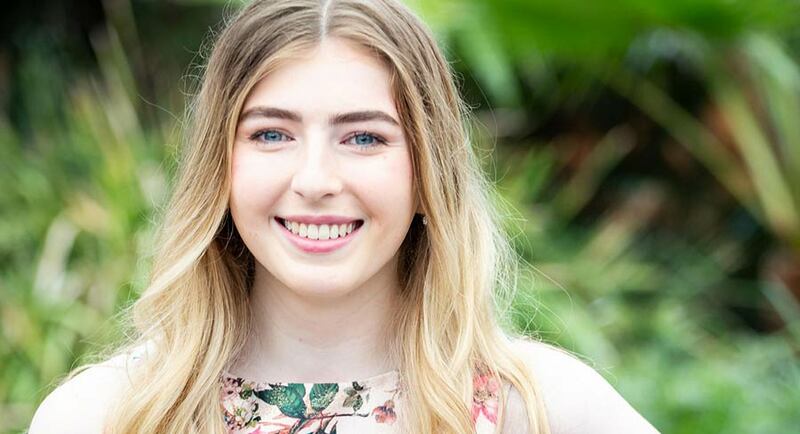 Georgie Stone, an advocate for gender diverse youth, will make her way to Ramsay Street to play the role of a transgender character on Australia’s longest running drama. With a long list of high calibre awards to her name, including Hero of the Year at the 2019 LGBTI Awards, the 2018 Victorian Young Australian of the Year and the 2017 Young People’s Human Rights Medal, Georgie Stone is an industry pioneer. Alongside her passion for acting, Stone is using her platform to fight for equality for gender diverse youth after she realised, through her own personal gender transition at a young age, there was an imbalance both politically and socially. Stone will play Neighbours’ first transgender character after the 19-year-old approached the show’s producers with the desire to portray some of her own experiences and others in the trans community, on screen. After auditioning for the role, Georgie has been working with the writers and producers for the last eight months to accurately integrate parts of her life story into the well-known Australian drama. Stone’s character will have a special connection with a member of one of Ramsay Street’s favourite families. On her role, Stone said: “I am so excited to be joining such an iconic show. Neighbours is all about telling stories we can connect to, stories that reflect our society today. Stone will start filming her guest role in June and her episodes will air on Neighbours later this year. See also: Special edition of the Mediaweek Podcast goes inside Neighbours with Network 10 executive producer Sara Richardson and Mediaweek’s Andrew Mercado.